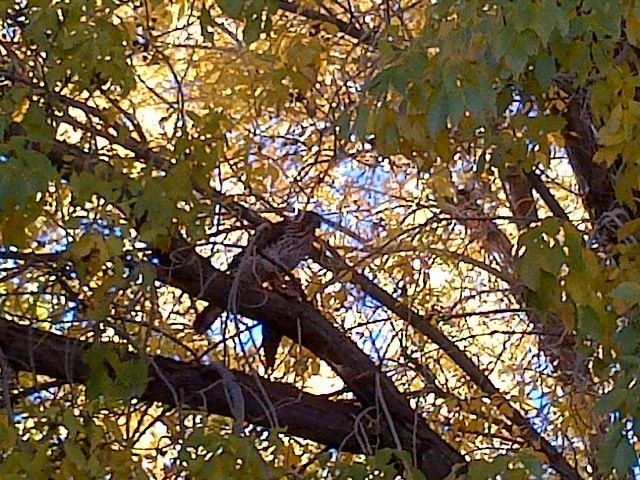 Speaking of endings, this hawk outside my office building made final work of the bird it caught. My fellow LERA member, Jeffe Kennedy, wrote this great post about story endings, and it’s been stuck in my head for the past couple of days. Probably because I am rewriting the ending to my novel, since I have had to split it into two, and I have scheduled myself to complete it this weekend. In story writing, the ending is the easiest part for me. I always know pretty much how my story is going to end, before I even start writing. For me, the ending is why I am writing the story. It’s the part after the crisis and leading up to the ending that gives me trouble. That’s why I love Joseph Campbell’s Hero’s Journey. It gives me the map I need to navigate through all that. After I realized I was going to have to split my book in two, I knew almost immediately where the break is and what the new ending is going to be. My Hot Tub Readers had another idea. They suggested a point in the story that they thought would be more of a cliffhanger. To me, though, it didn’t feel right. It felt like a cheat. A cheap trick. And not at all satisfying. The new ending had to be a resolution of that book’s journey. At the same time, it should be a lead-in, a beckoning of the promise of the next book’s adventure. Something that makes me as eager to start writing the next book as much as I hope the reader will want to start reading it. I love the way you made that quote look – like I’m all profound or something. 😉 I’ve been accused of creating a cliffhanger when I totally didn’t mean to. All in the eye of the beholder, m’dear. I love quoting people. It looks cool!! Cliffhangers can be great. One of my favorite endings is the one to the first The Vampire Diaries book, and that was a major cliffhanger.